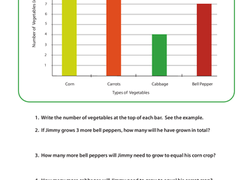 Boost your child's analytical thinking skills with this year 3 maths worksheet in which he'll use data from a bar graph to answer word problems. 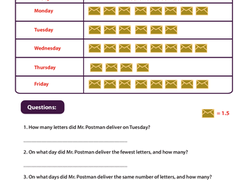 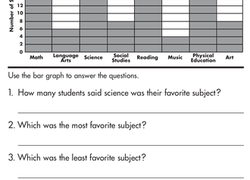 Want to help your students begin to think critically about data? 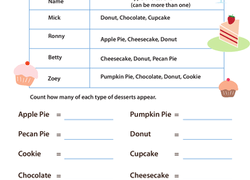 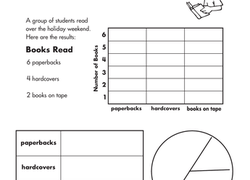 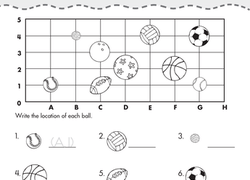 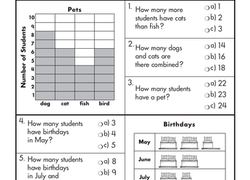 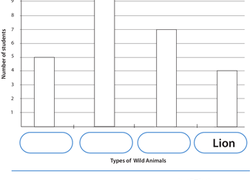 Laminate and display this worksheet to spark discussion about different ways to represent data.